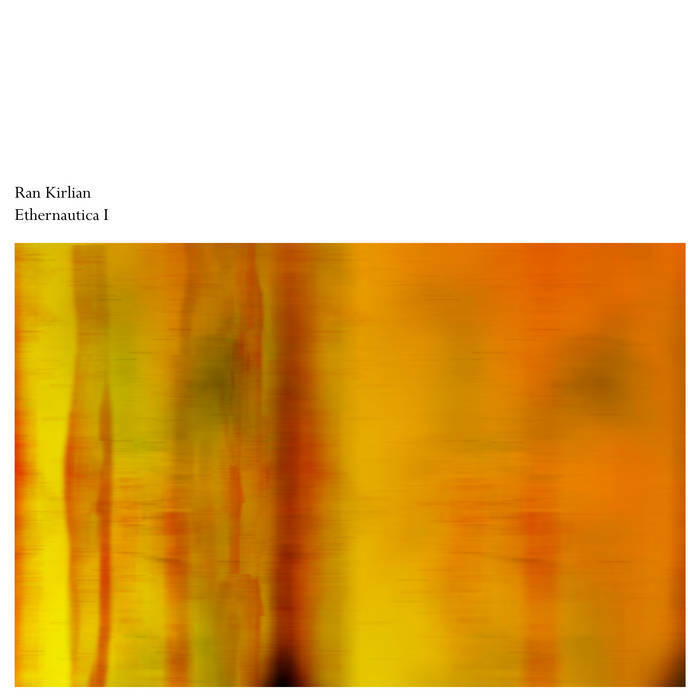 Ran Kirlian just released his newest album, Ethernautica I, a drifting electronic journey based on a large format piece that combines ambient soundworlds with classic electronic flavours.This album is the opening volume on a series of live recordingsthat will be released during next months in a similar shape. "This and other pieces that will follow in this series were originally created as an inspirational source for my own as well as for meditative purposes. Some of these pieces may sound a bit raw and unpredictible, so I've decided to release these recordings for free." All music composed, performed, mixed and produced by Ran Kirlian. Recorded at The Blue_Room between September and December 2016. You can download Ethernautica at Ran Kirlian's Bandcamp site for free or name your price in lossless format. Rust consists of three previously unpublished tracks based on minimal evolving cinematic pads. Simplicity is the main nexus of this album as all pads were recorded lively using just a couple of digital synthesizers and sonic backgrounds based on field recordings. The sonic sculptor Vauxia Errante created an evolvinglong form (24 min) atmospheric track based on a combination of drone layers and treated field recordings. as you all know a long time passed since our last release. Due to a lot of circunstances, most of our artist and the Altera Orbe crew have been deeply busy during last months and, consequently , they have been disconnected from the label. Due to a lack of time to maintain our website and keep things alive we've made some changes in order to give a better service for both costumers and artists. One of this changes has been redirect all store activity to our artists websites and bandcamp stores, in order to let people directly purchase their music from the source instead of our webstore. We've also temporary closed our register/login module as it will be upgraded soon to a newer component to let people subscribe to our newsletter. We have the great pleasure to present you two new exclusive releases: Primigenia, the newest subterranean-ambient album from spanish composer Vauxia Errante, and Ataraxia, an exclusive Woomh EP by Ran Kirlian. This new album by Vauxia Errante is a dark and complex sonic journey, far beyond his previous full lenght masterwork Cambrian Spirits. Primigenia explores a much darker and organic side of Vauxia's music with a high pressence of drones, experimental sounds and slow evolutions in search of a deep meditative state on the listener. Ataraxia is a new Woomh EP created by Ran Kirlian hard to be catalogued into any ambient style beyond experimental but consistently fitting the Woomh concept. It collects music created between 2012 and 2013 using both software and hardware synthesizers, samplers and effect tools and building an alternative sonic palette to the most typical Kirlian textures. A 61 minute long form piece, divided into three seamless expanses of driftscape, created entirely with keyboards and medicine drum by ambient master Steve Brand. The original inspiration for this long form piece was my readings from various esoteric sources, and the idea that although we may see ourselves as separate, isolated and alone, in fact we all are individual expressions of one unifying, all-encompasing source, and therefore linked to that source and ultimately to one another. An earthy foundation of sustained drones and rich chordal soundbeds, flowing watery melodies, the scintillating sparkle of fiery sequences. The music of Chronotope Project (Jeffrey Ericson Allen) bridges time and space with immersive soundscapes that invite the listener to discover intimate connections between consciousness and experience.